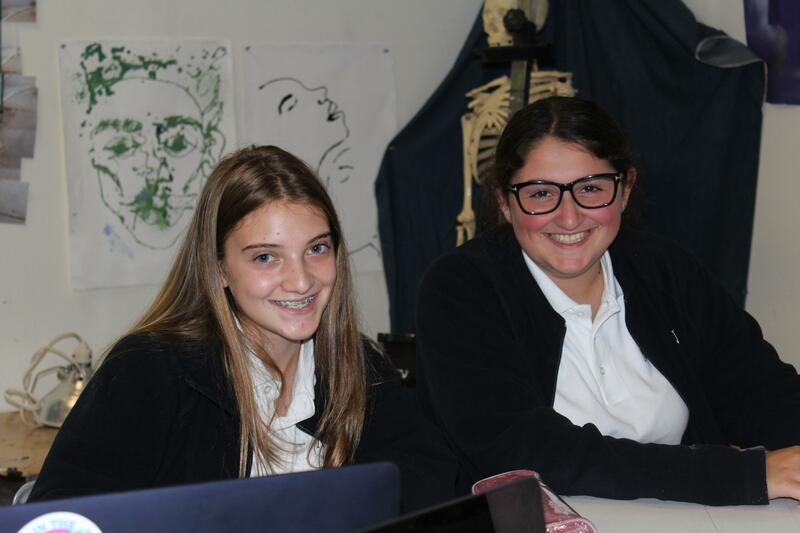 Campus Ministry at Notre Dame Academy focuses on developing Spirituality and Service with students and staff. 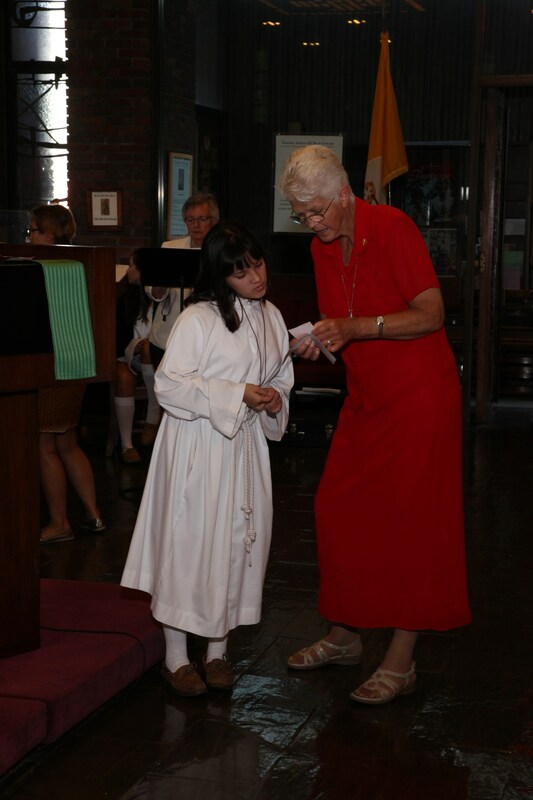 Sr. Anne Seeley, CND directs classes and activities with students and faculty. After the Academic Orientations at all levels, PK-12, the students and staff of grades 3-12 gather at Our Lady of Good Counsel Church for our Opening Liturgy, asking God’s blessing on our work and activities for the year. Throughout the year, there are liturgies and prayer services with each school, separately within the school buildings. 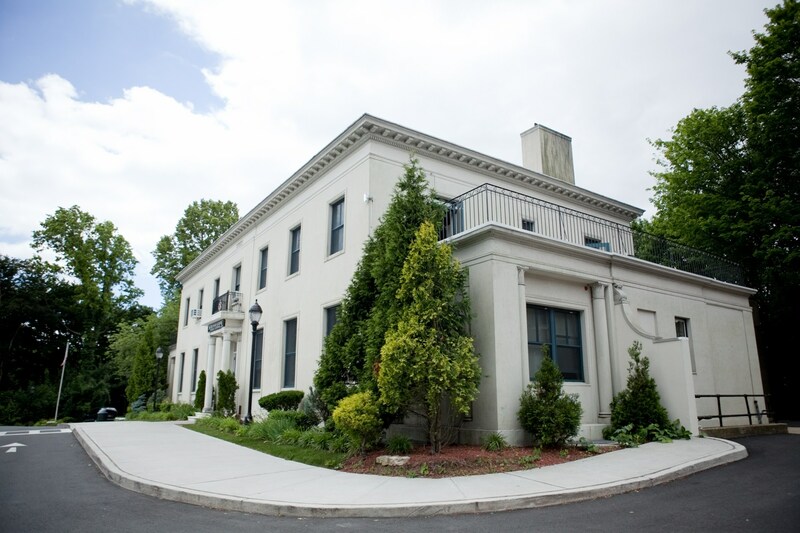 These are planned by varied classes with Sr. Anne and the Music Departments. 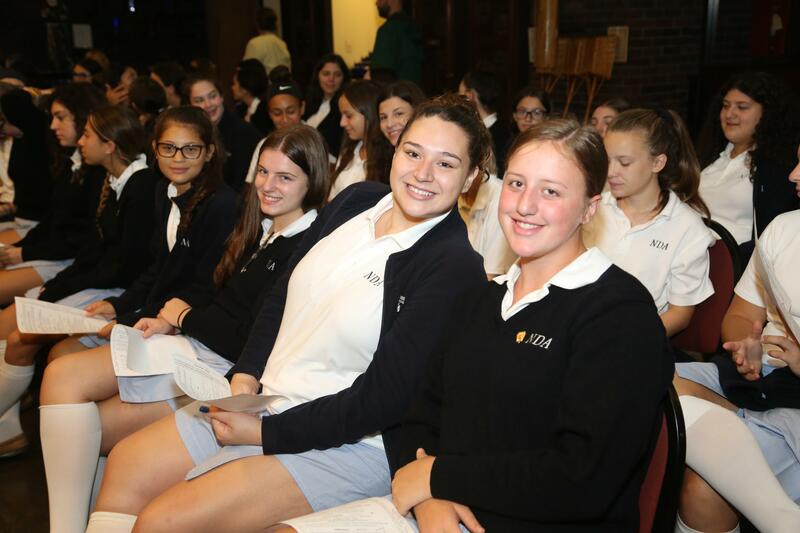 In addition to providing meaningful and inclusive prayers, these are opportunities for the girls and staff to develop and demonstrate leadership. On the elementary level, Grades 6, 7, and 8 prepare services and activities for the younger classes in their weekly Campus Ministry Class. Juniors, in an elective Campus Ministry class, prepare these services and daily AM Prayers on the high school level. They also facilitate the ninth grade retreat, done on campus in early November. 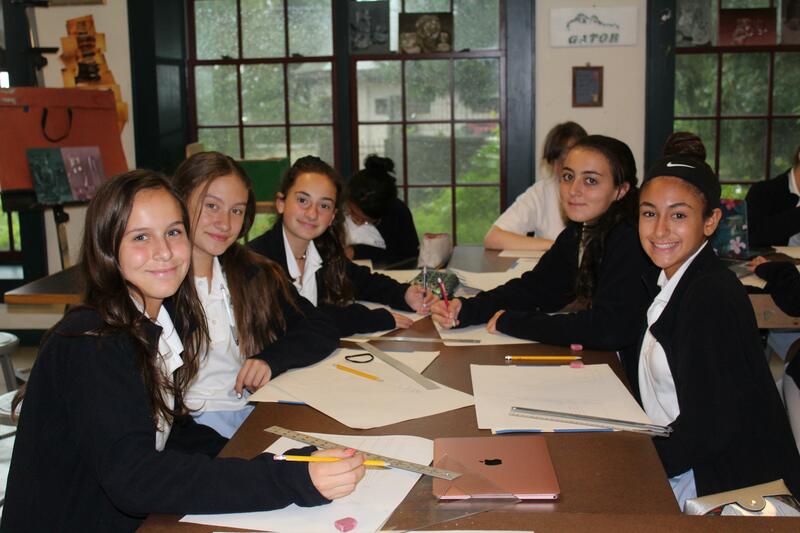 This group also prepares and leads Ophelia classes for the girls in grades 5-8. These mentoring classes help the younger girls develop their skills and self-confidence in relational aggression (which is more than just bullying). Social Justice and Service are very important to our development as followers of Jesus Christ. 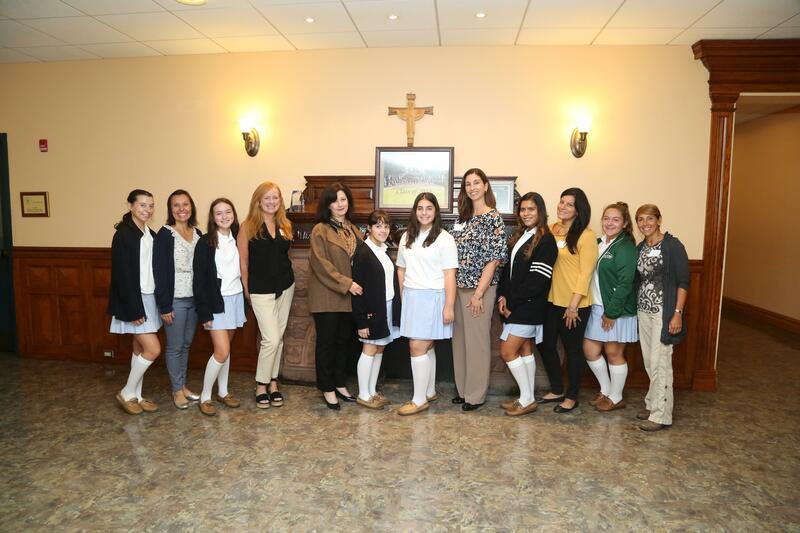 Students learn of the Church’s teachings and practices in their religious studies classes, and work with staff to provide service in the Staten Island community and beyond. Each grade school class has specific places they support with goods, cards, and money. The entire Academy is involved with Food Collections at Thanksgiving and in Spring, gifts to various groups at Christmas, and all participate in our annual “Pennies for Patients” drive, for Leukemia, Lymphoma. 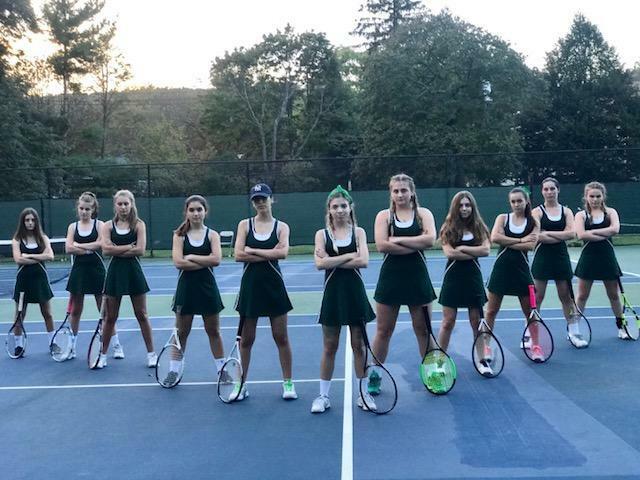 The high school sport teams and clubs each give service during the year, inviting others to join. And our after school club, “Campus Ministry Team”, meets monthly to plan our monthly commitments to: Silver Lake Nursing Home – a ten minute walk from NDA – Hospitality House – a women and children’s Shelter of Project Hospitality in the St. George area which requires a short bus ride – and NDA Elementary Big Sister Day. The team announces each event - inviting ANYONE from the student body to join for that one day. Someone from the Team is the Leader for each day, and has other volunteers to help lead certain parts. 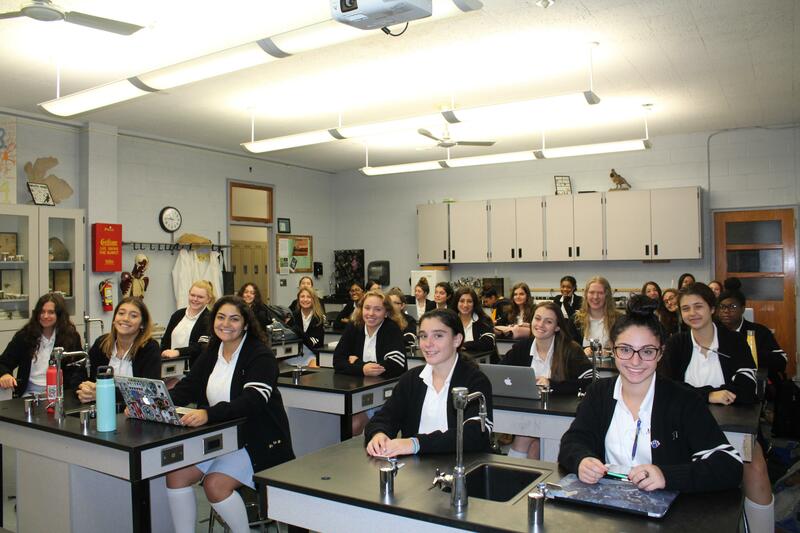 All of our NDA girls enjoy participating in these activities and also get to develop their leadership skills! In all we do, we aim to develop Christian Leadership!